The Ferrari America series of models served as the company’s top-of-the-range large gran turismos during the 1950s and 1960s. The series began at the beginning of the 1950s, but it was the 410 Superamerica introduced in 1955 that was the most powerful road-going Ferrari of the decade. The model was produced in Series I, II and III configurations. The standard price for one was nearly $17,000 at a time when a Corvette cost a little over three grand. 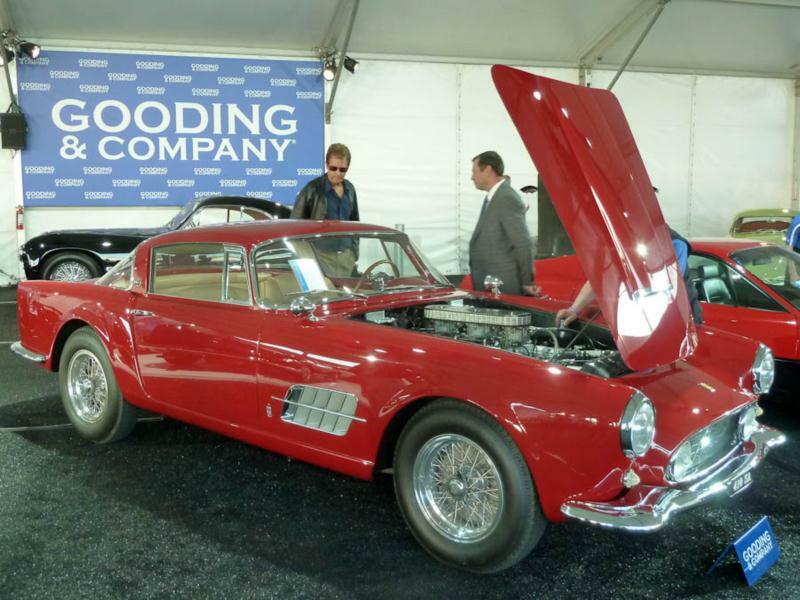 Since the 410 Superamerica was an extremely expensive car bought by celebrities, industrialists and even royalty, there are small differences in each example as each car catered to the tastes of its buyer. The bodywork also varies with each car. Most wore the designs of Pinin Farina, but there were Boano- and Ghia-bodied cars as well. The Lampredi V-12 was now up to 5.0 liters and made well over 300hp, which allowed for a top speed of up to around 160 mph, depending on gearing. With greater low-end torque and larger dimensions, the 410 Superamerica was more suited to around town driving and long-distance touring than the high-revving 250 model. Less than three-dozen 410 Superamericas were built before being replaced by the 400 in 1959. Their value can vary significantly depending on the attractiveness of the bodywork and provenance, since many were owned by famous individuals. Each is of course highly collectible and comes with exclusivity as well as eligibility for many of the world’s premier driving and concours events.